Looking for adjustable ride height suspension? 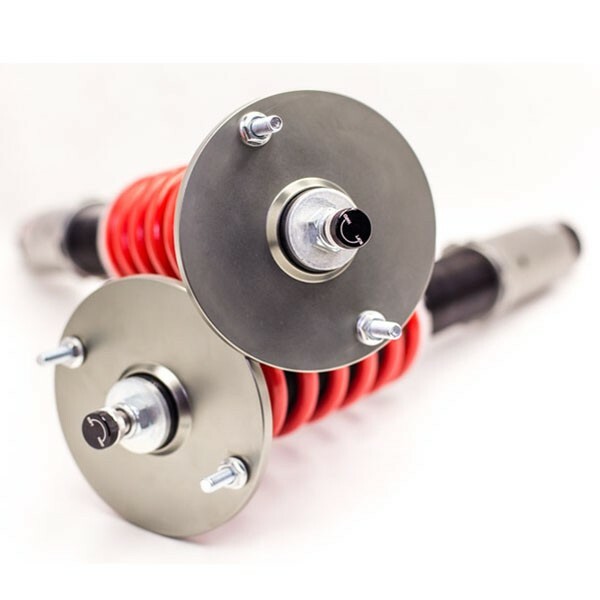 Check out Godspeed Coilovers for high quality full replacement dampers. 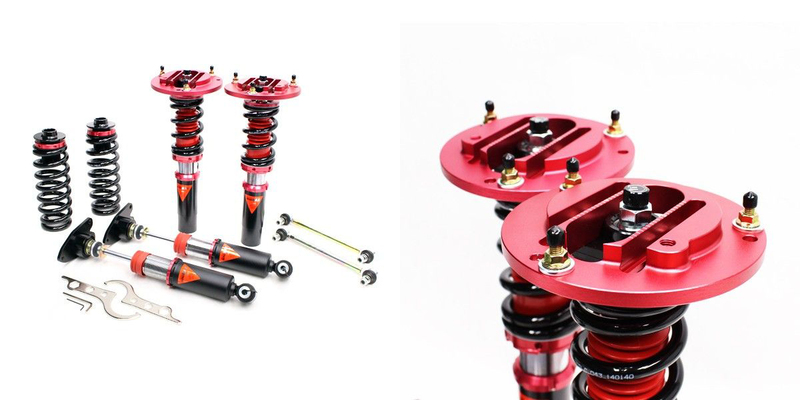 For instance some benefits that you get from Godspeed Project Coilovers are adjustable ride height and adjustable damper settings. 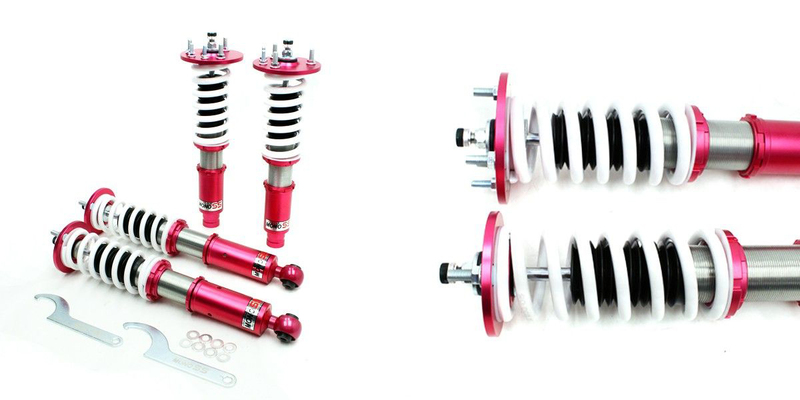 We carry the complete line of Godspeed Project coilovers and have been an authorized retailer for 10 years. In other words we are your number one source for Godspeed Coilovers at the lowest price everyday. 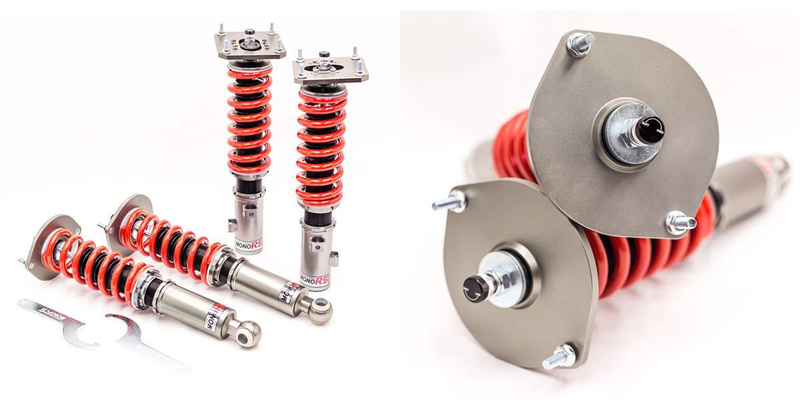 In conclusion we also offer free shipping on all Godspeed Coilovers shipped within the continental USA. Why do I need Godspeed Coilovers? There are many reasons to lower a vehicle. A lower center of gravity will handle better thanks to reduced roll and even tire loading. 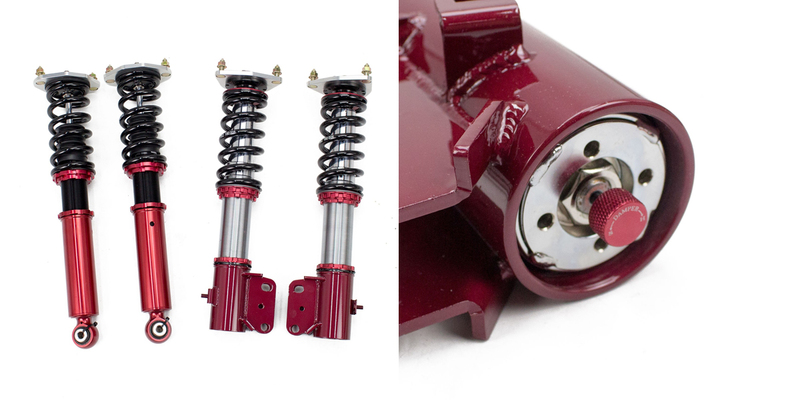 Another benefit of a coilover system is adjustable dampening of the ride quality itself. A stiff damper setting is ideal for performance driving. You can adjust the knob to a softer damper setting to achieve more comfortable ride for daily driving. Godspeed coilovers give you this comfort adjustment that you would not have with lowering springs. 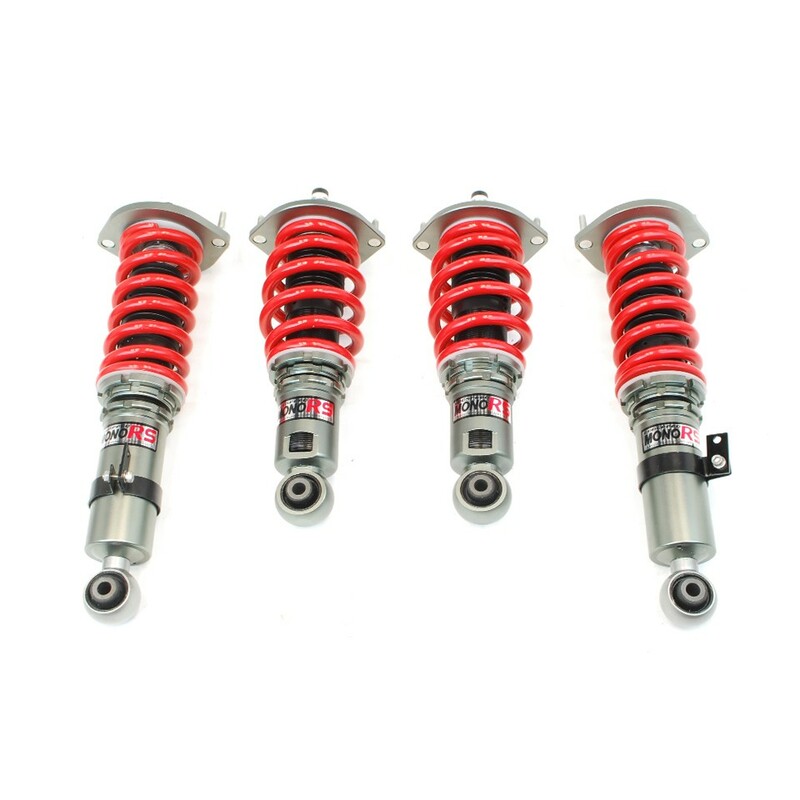 Additionally Godspeed coilovers tend to have a much stiffer spring rate over the factory springs. For instance stiffer springs reduce body roll, nose dive, and lift. The result is a more ideal suspension geometry for the tires to maintain the ideal contact with the ground. 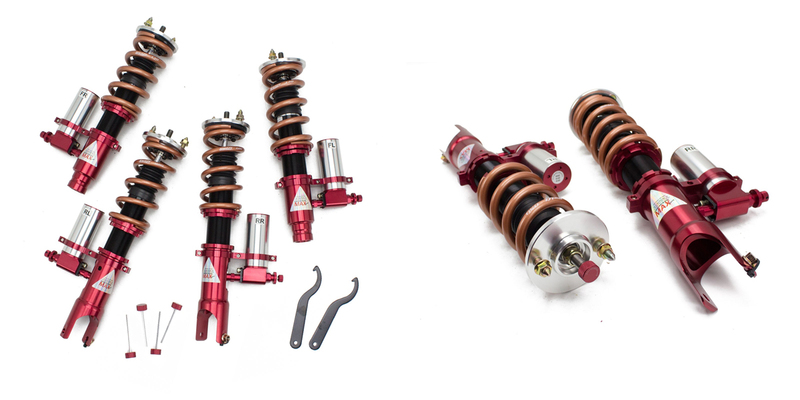 Godspeed Project offers several different series’ of coilovers to cover basic to advanced features. In conclusion no matter what your budget or specific needs we offer Godspeed coilovers that will suit your application. The Mono-SS also caters to consumers who will be driving their cars daily but may hit an occasional track day. The Mono-SS is 16 way adjustable which allows you to fine tune the shock dampening to your liking. Above all the Mono SS series is a great value. Introducing the Godspeed Project Mono-RS coil over line. The Mono-RS series was released in 2013. Mono RS is popular with those looking for a high performance suspension system that is streetable. 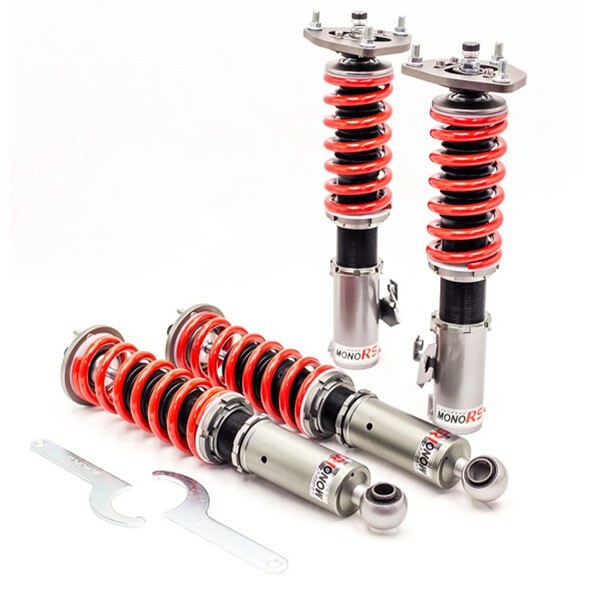 Mono RS coilovers are set to perform exceptionally well in track use yet provide the comfort that a coil over should when driving on the street. With 32 levels of dampening adjust-ability, it allows you to fine tune the suspension to your liking. 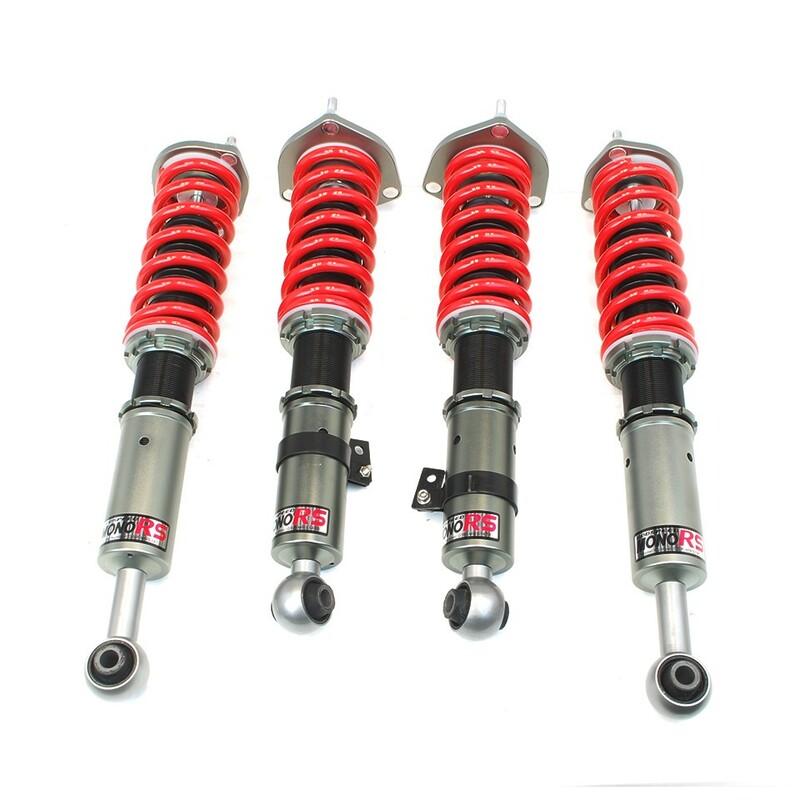 Whether you are on a track or on the way to work Mono RS coilovers get the job done. 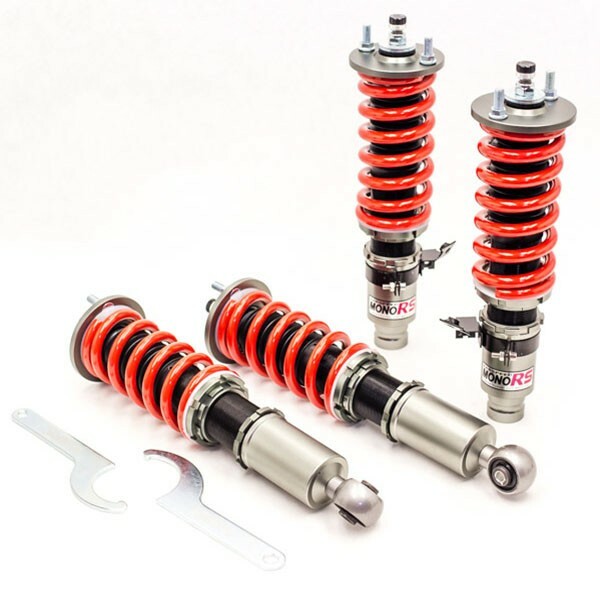 All Mono-RS coilovers come with a Mono-Tube shock that houses gas and oil in separate chambers allowing consistence shock performance regardless of the abuse the shock is given. Finally the top hats of the Mono-RS series come with a KOYO Japan built 6204Z bearing. These bearings provide the longevity and performance of a higher end coilover system at a more affordable low price. The top tier coilovers line offered by Godspeed Project is the Mono-MAX series. Mono MAX coilovers sell for an affordable price yet performs on the track. 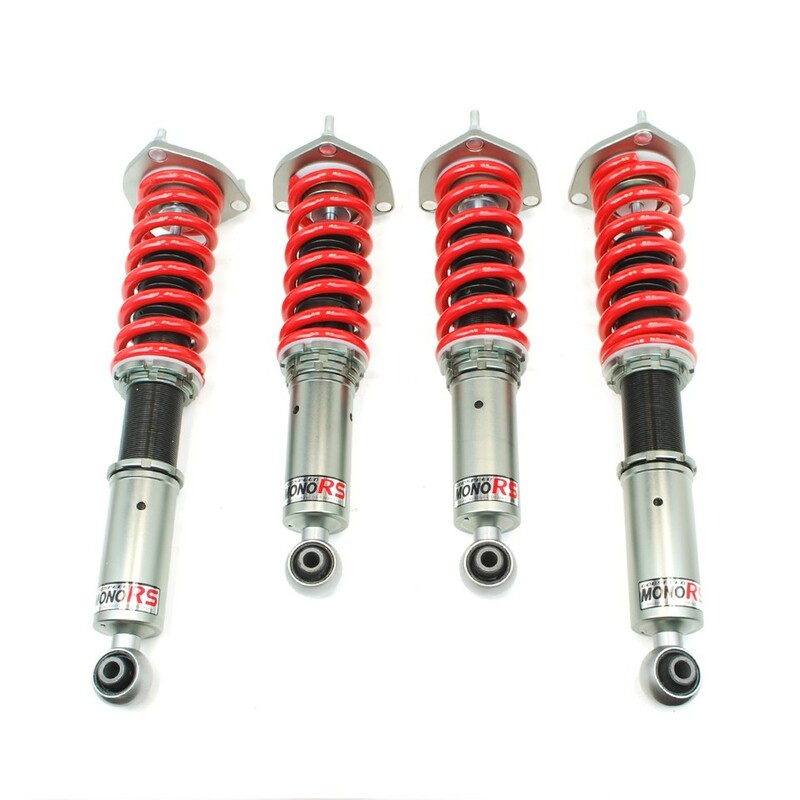 Monomax coilovers feature a Mono-Tube shock that is made out of a carbon seamless steel 52mm tube. The 44mm internal piston provides maximum dampening response. Cold-bent springs made from high strength SAE9252 steel therefore optimize the balance between performance and comfort. 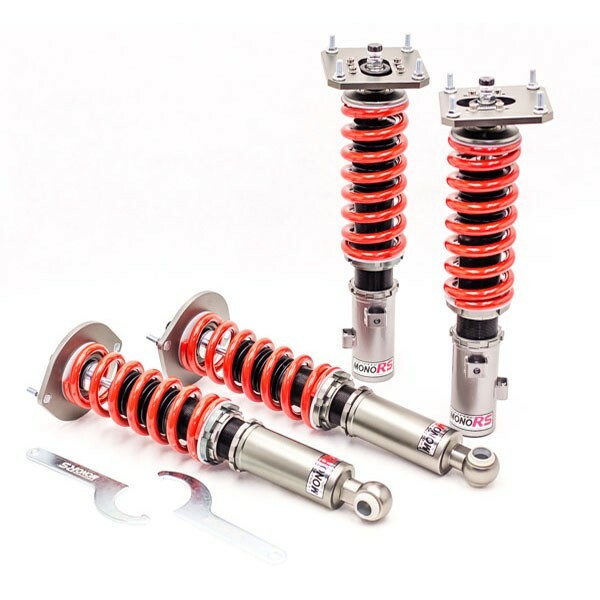 Monomax coilovers use a high quality shock oil made in Italy. We can guarantee efficient shock absorbing action at any ambient temperature on and off the track. The top of the shock is attached to the car using a high quality top hat. Godspeed Coilovers feature a high performance bearing pillow ball mount. Bottom mounts of the shock brackets are manufactured of T7075 forged aluminum. The result is lighter weight without sacrificing durability. Additionally Godspeed coilovers also includes brake line brackets. 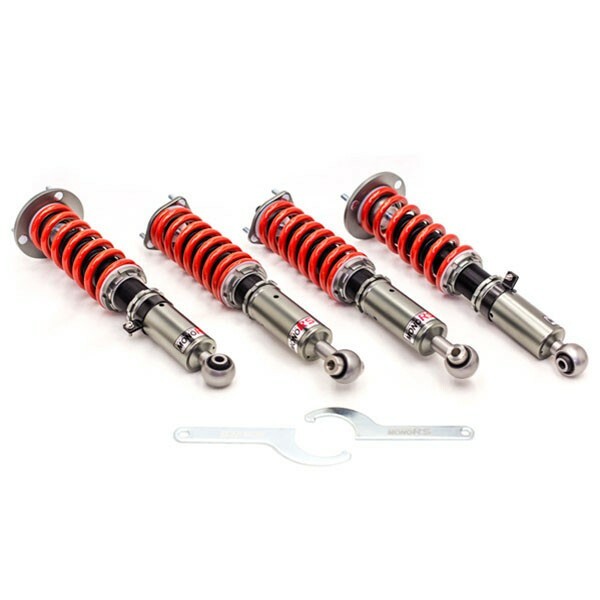 Mono-MAX coilovers offer 40 level of dampening adjust-ability. Performance is configured to your liking by clicking through the levels from stiff to soft. Godspeed Project’s MAXX 3-Way Coilover Dampers are for the most indiscriminate customers. Featuring mono-tube shocks with electrode-plate finish to provide corrosion resistant property. Godspeed MAXX 3-way coilovers features 33-level rebound, 24-level low speed compression and 50-level high speed compression adjust ability. In other words the user can fine tune damper function according to the situation race or street. Finally Godspeed MAXX 3 way coilovers feature upgraded Swift springs. This allows the user to maximize full potential of 3-way adjustable dampers. Additional weight external reservoir will balanced out by using light weight yet durable aluminum hardware.